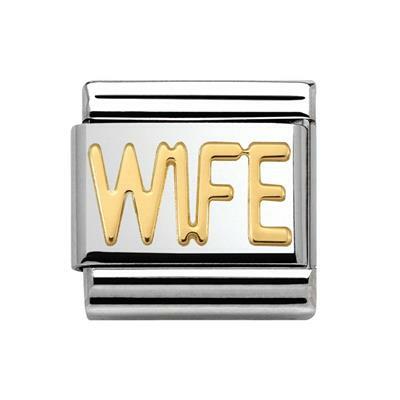 This Nomination charm is the perfect gift from a husband to his fabulous wife. This Stainless Steel link features 'WIFE' in 9ct Gold. This meaningful addition is also the perfect pre-wedding gift for a wife-to-be! Team it with the Nomination starter bracelet and begin her collection.